With the advent of 4G connections getting better over the years, and the broadband reliance, we are always in need of a connection, wherever we go. In fact, holidays and business trips inspire even more need for the use of internet. D-Link, a well known brand in the world of routers and connectivity, have just released the latest in their series of routers which combines both 4G/3G connectivity with that of a broadband. With this in your house (or wherever you go), you should always be connected! All this is also offered at an extremely competitive price, too! Read below for the complete news. London – 26th January, 2016 – D-Link is launching a wireless AC router that connects to both high speed fixed and mobile broadband. It combines multiple Internet connections to offer increased overall bandwidth as well as a fail-safe Internet. The Wireless AC750 Dual-Band Multi-WAN Router (DWR-118) is ideal for households that rely on constant connectivity, such as those with smart home technology, people who run businesses from home, or gamers. This includes those in areas where fixed line connectivity is not always reliable. For households with heavy-data users, the router’s load-balancing capabilities mean both mobile and fixed Internet connections can be used at the same time – making large downloads faster or streaming of better quality. Households can also set up personal hotspots with combined dual-band wireless speeds of up to 750 Mbps, allowing more devices to be connected to the Internet simultaneously. The router can also be used outside the home, perhaps for the holiday home, summer house or a hotel, to create personal wireless hotspots. Using a 4G or 3G dongle connected to the router’s USB port, and therefore one SIM, the whole family can get online, wherever they are. 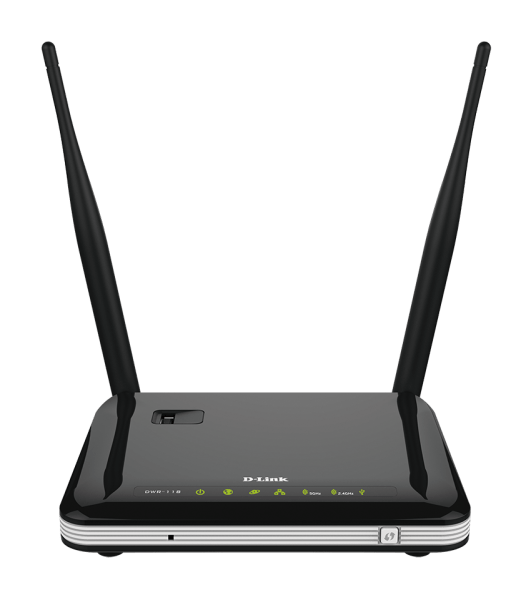 The Wireless AC750 Dual-Band Multi-WAN Router is also suitable for small businesses, as the alternative Internet source means there is always a back-up option for connectivity.